Miss Grand India 2018 Meenakshi Chaudhary was awarded the position of 1st runner-up during the finale of Miss Grand International 2018. She was a very tough competitor and many expected that she would change history and bring home the crown for her nation. Meenakshi was in the Top 12 in the Best National Costume and gave an excellent answer during the Question and Answer Round after being selected in the Top 5. Upon being asked, “As Miss Grand International 2018 tonight, if you could choose one country for your first visit to run your ‘Stop the War and Violence’ campaign, which country would you choose and what would be your first message to them,” she chose to visit was Indonesia because of the recent calamities that it has gone through. Meenakshi explained that we are fighting against bigger things in life and in nature due to the natural calamities that have become so frequent. Meenakshi ended her speech saying that we are humans first and it does not matter what the nationality and colour, we have the same colour beneath our skins, and that is red. Her answer won the hearts of the audience and online viewers. 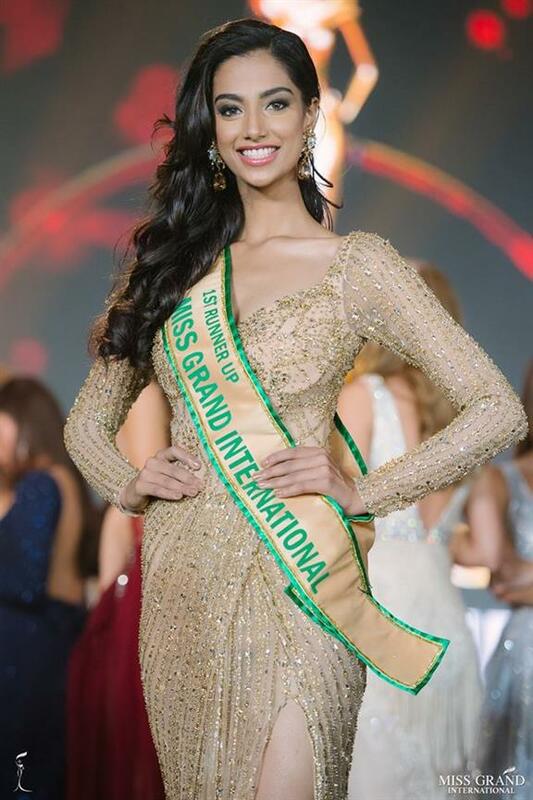 However, Miss Grand International 2018 Clara Sosa was declared the winner, leaving Meenakshi just one position short of the crown. Her defeat did not bring down the glory of this Indian beauty and she handled herself gracefully on the stage.